Somebody go up there and give this comet a Red Bull, it's clearly tired and needs a boost. More seriously, we'll now have to wait a few months for it to emerge from the Sun's glare before we have a better idea what it will be like come perihelion. But it's probably safe to say at this point that it won't be quite as spectacular as originally hoped. But it's probably safe to say at this point that it won't be quite as spectacular as originally hoped. Yeah. Hopefully it will be at least as bright as Lovejoy was though. I remember Hale-Bopp, it was very bright! 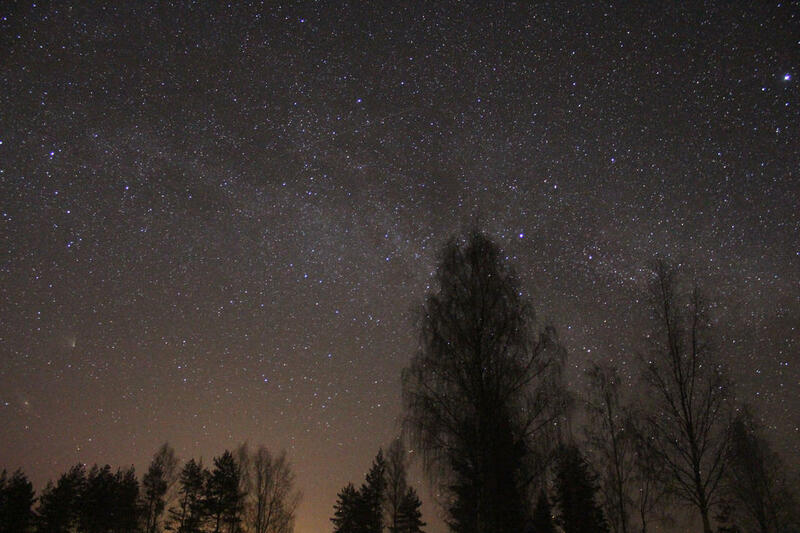 I saw it from my backyard and also from the Norwegian fells, where there was no light pollution. What a sight I hope ISON gets at least just as bright. 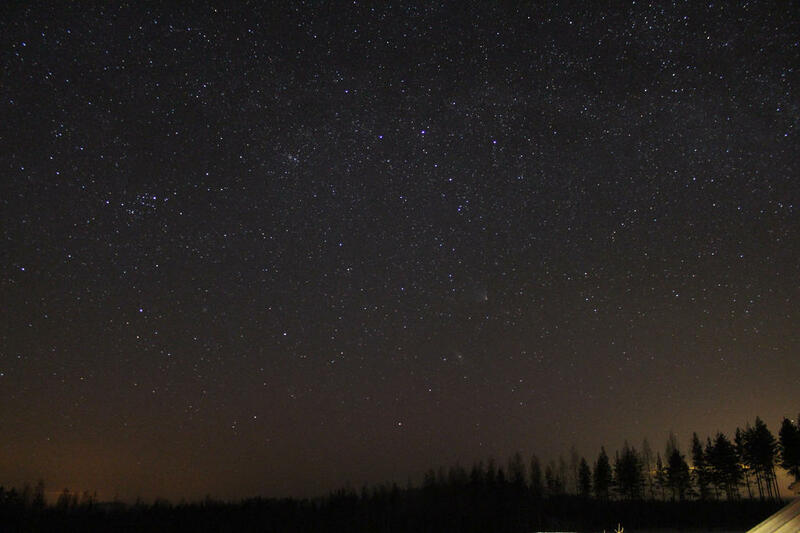 All good comets lately tend to visit the southern hemisphere. Even closer to a non-event. Poor little engine comet that could. It thinks it can, it thinks it can! We all believe in you! Some pictures from last winter i apparently forgot to share. O hai PANSTARRS Nice shots Antza2. This comet will be brighter than Comet McNaught in 2007. It may very well be so far the Comet of the Century if it continues the path. Soon we will see this comet go from Green like this to more Dust. I'll take more photos of this soon. Going to take the scope out this weekend. Well, yes, it will be very bright, but it will be so close to the sun at that time that it probably won't be as spectacular of a sight as other great comets such McNaught. Hard to say though what will unfold after its closest approach to the Sun though; could be very impressive or could disintegrate. We'll have to wait and see. I still don't see what all the hoopla is about surrounding the photos taken by Hubble that make ISON appear to be some kind of ship (because, clearly, it's not, because, well, come on, really?). Can anybody explain why those images turned out the way they did? I heard it had to do with the way the telescope takes photographs at certain times. If you guys have seen them, of course. This community seems to be driven by rational thought, which is much appreciated.